Whilst the world eagerly awaits Nintendo to unveil plans regarding their newest home console at E3 2012 in June, an analyst has downgraded the company’s stock to “underperform” stating that there are “increasingly problematic structural problems for the company”. 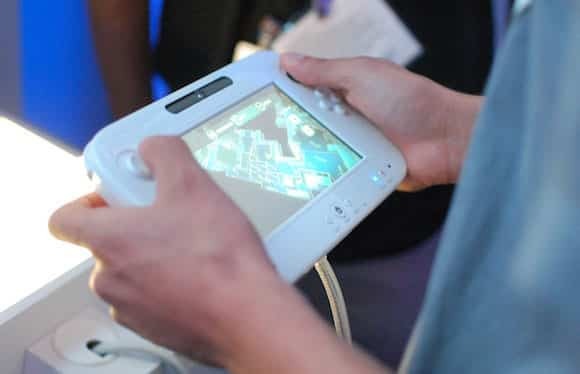 David Gibson, an analyst at Macquarie Capital Securities (Japan) Limited, believes that the “competitive position of the Wii U has deteriorated” and has advised investors to avoid purchasing Nintendo’s stock until E3 2012. 1. Wii U GPU is less powerful than Xbox360/PS3 according to developers, which means it has no edge besides the tablet interface to attract core users. Initial third-party titles are likely to be only ports from Xbox360/PS3 titles. A bundled WiiSports/Mario title may help initial sales beat Wii launch, but Wii was severely production-constrained and the surprise factor from Wii U is less. 2. iPad with its retina display shows where Apple is taking its 4 screen infrastructure, leaving Wii U less connected and less relevant. The GPU processing power for handsets is reaching consoles such that we think core gamers have no interest in buying into the Wii U. Apple might add in a controller to its line-up to be more attractive to core users. MocoSpace survey shows that 96% of gamers like to play their games at home, and with a better infrastructure we think iOS will be able to deliver a single game experience across four screens that Nintendo cannot. 3. Wii U will have 1-year window to gain installed base before PS4 (Orbis) and then Xbox Durango launch in late 2013. At that point, the core gamer that Nintendo is after for the first time will have no interest in Wii U. We understand that Activision has no plans to support Wii U, which means the biggest selling title of Call of Duty will be missing; Konami is also planning minimal support.